PopCap's Soliatire Blitz invites players to discover a whole new world of Solitaire in a fast-paced treasure hunt! 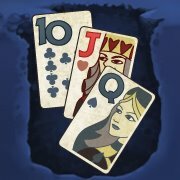 Solitaire Blitz has players matching cards quickly to clear the decks in just 60 seconds. To Solitaire veterans, this might sound like a simple task, but Solitaire Blitz is far from easy. Learning the basics is essential to becoming a Solitaire Blitz champ. Solitaire Blitz may seem fairly simple, but mastering this game requires intelligence and quick reflexes. Solitaire Blitz borrows a lot from the classic game of Solitaire, but it is also markedly different. At the beginning of each game, there is one build pile, a deck, and seven playable cards. From the available cards, you must click a card that is consecutively higher or lower than the build pile card. Suits and colors don't matter. Aces can be played on twos in Solitaire Blitz. By playing cards that are marked with keys, you'll unlock more build piles. You can have a maximum of three build piles to work with. Clicking a card will automatically send it to the appropriate build pile. Clicking a joker will place it on the left-most build pile. No matter how good you think you are, to reach the top of the Solitaire Blitz leaderboards you'll need to use boosts. You can use up to three per game, and if you're going for the top spot, you'll probably do best by using all three slots. To buy boosts, you'll need to spend you hard earned Silver. There are no free silver Solitaire Blitz cheats, you'll have to get it fairly by playing the game, or by purchasing more with Facebook Credits. In addition, you can send and receive so that you and your friends can afford more boosts per game. Extra Time - Adds thirty seconds to the clock. This boost is a must have, it's super useful. Run Finder - Turns cards face over if they're in a run. Use this to plan ahead and get mega combos. 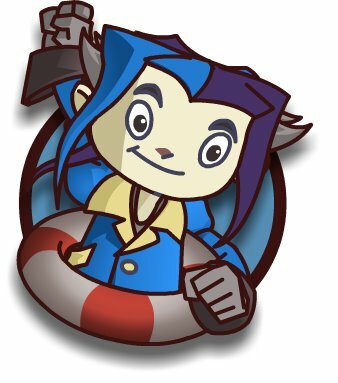 Extra Jokers - This boost simply adds three extra jokers to the deck to get you out of those tight spots. Mine - Explodes a row of cards, freeing you up with fresh ones. Starting Joker - Makes the first card on the build pile a joker. 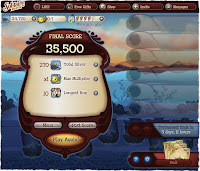 Solitaire Blitz is a fun mini-game style Facebook game. The matches are short and entertaining, and although energy is consumed per match, friends can gift energy boosts between one another so you shouldn't get stuck waiting for an energy bolt to refill. Warning: Players of Solitaire Blitz might but most definitely develop rapid eye movement syndrome from the blitz like game play, but it's worth the risk. When playing Solitaire Blitz, in the early game you want to focus on clicking the cards marked with keys as quickly as possible. Getting those other build piles up on the board is crucial for getting big combos and high scores. The tallest playable card decks often hide the most lucrative prizes. So if possible, try to draw from the tallest piles first to ensure that you finish up strong. The worst is ending up with one tall stack of playable cards; it leaves you with no chance for combos and a strong possibility that you won't clear the board. That being said, if you end up with one deck of playable cards left, just switch into overdrive. There's no thinking to be done here. Just click the playable card until nothing happens, then quickly click the deck and refresh the build pile. Click the playable card again and repeat. This should be done really quickly to end the game as soon as possible, netting you the biggest score. You are able to use a maximum of three power ups in a game, so why not use all three slots together and get one bigger score instead of three little scores.